There are different philosophies on how to set prices. The traditional way is to figure out how much something costs to make, add a little profit, and determine the retail price. The more modern way is to keep your prices low on “high-visibility” items for which people comparison-shop, but inflate your margins on “add-on” products that people tend to buy without comparing prices. I may be old-fashioned, but I dislike having to compare prices on everything I buy. I prefer to shop from companies whom I can trust to sell at fair prices, no matter what I buy. This is how we set prices at Compass Bicycles. 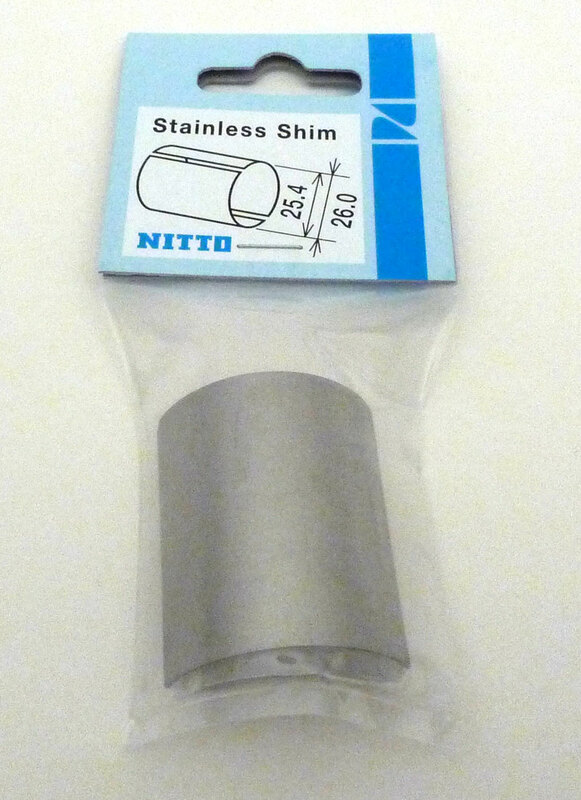 For example, we sell our Nitto handlebar shims for $ 12. Another popular cyclotouring mail-order company charges 25% more and sells them for $ 15. 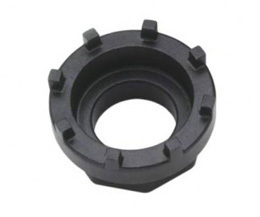 We sell the Park Tool BBT-18, used to install SKF bottom brackets, for $ 12. Other companies charge between $ 17 and $ 19 for this tool. For most customers, it may not make a huge difference, but I feel it’s more honest to charge a normal markup on these “add-on” items, even though most people don’t compare prices on them. I always price-shop, even for handlebar shims. Times are tough right now, and I can’t afford not to. However, I’ll always put a thumb on the scale in favor of a seller I know, trust, or think should get the business. I won’t spend an extra $5 on a $15 order, but if it’s a smaller gap, I’ll place the loyalty order. I’ve found the other end of that is true, too. If you are a vendor I don’t care much for how you do things or behavior then your price will have to be much much cheaper to make me buy it from you. There are some vendors who are routinely cheaper who I will not buy from simply b/c I don’t like how they do business. As a consumer I completely agree. I’ll gladly pay a few $$ more plus tax to buy from a local shop but I once was quoted $5 for a seatpost bolt at an LBS. Needless to say, I no longer go to that shop when I need small parts. But Jan, with all due respect, you sell bidon cages for $150 (http://www.compasscycle.com/BottleCage.html) when anyone can get them almost anywhere for much cheaper, one example being rivendell (http://www.rivbike.com/products/show/king-water-bottle-cage/29-014) for in this case $16. So your product is not 25% more expensive but rather 837% more expensive. Maybe your cage is far superior (comments on site certainly indicate this) than other products or super rare or something, but I think you should cover this issue before frothing at the mouth about fair pricing structures from other vendors compared to your own. How much superior can a bottle cage be? I will accept your argument if you can demonstrate that your pricing is fair in this instance (not referring to other items), but I’m a long way from accepting that at this point…call me old fashioned. We sell the hand-made, fillet-brazed Iribe cages because otherwise, they would not be available in the U.S.
Our mark-ups actually are minimal on these. We certainly don’t claim that you need to spend that much on a bottle cage… In fact, I use less expensive bottle cages myself. My point was simply that many companies price their “high-visibility” products low and then try to make up the difference by pricing the “add-on” products higher. The customer thinks they got a deal, but pay the same in the end. After re-reading my post I think my tone was a bit rich – sorry for that and thanks for your reply. The bottle cage price never influenced my opinion on any other products offered, I’ve checked out them all and don’t consider the rest to be over priced at all. I appreciate what you’re doing is different to just about everything else on offer, and I certainly applaud that…but I’m still amazed about that item’s price. Do you sell many? We don’t sell many, and never intended to. However, a few people are really happy to get them, and that is why we carry them. From a commercial point of view, it makes no sense, but that isn’t why we are doing this. The least expensive seat binder bolt sold through qbp with a standard .67 mark up is 4.50. I recommend you give your local shop another chance. To be honest, I had no idea you sold things like handlebar shims and bottom bracket tools. Times are tough for the shops as well….REALLY tough. Tubes used to be “a couple bucks” and now they all seem to retail for >$7. I spent a couple years recently managing a shop and I still have my QBP login so I regularly see what my old shop pays for items now. The cost of items to the shops goes up more, and more often, than prices go up for the customers. It’s a brutal business in many ways. Anway, Jan…thank you for what you do…keep it up!! Is it really about paying a fair price for a product or what is cheapest. For example, “The Golden Age of Handbuilt Bicycles” goes for $60 at Compass BIcycles and $35 at Amazon. One may think that it is a fair trade to get it from Amazon but Amazon can afford to do things like this yet due to purchasing in mass quantities and many other things which are over my head since I do not run a business. Personally, I would rather purchase this from Compass Bicycle only because it helps small businesses and it seems you are not soaking people the higher cost of your book. In addition, this helps small business in this country which is sorely needed. Although I do not know the real cost of this book, I am sure getting it from your website is at a fair price although it is more expensive. I rather pay the higher expense in this case than to go to Amazon. So cheapest is not always a fair price. I do not know all the ends and outs of how big business are selling products cheaper but you pay for it in other ways when you buy the same product but somewhere cheaper sometimes. 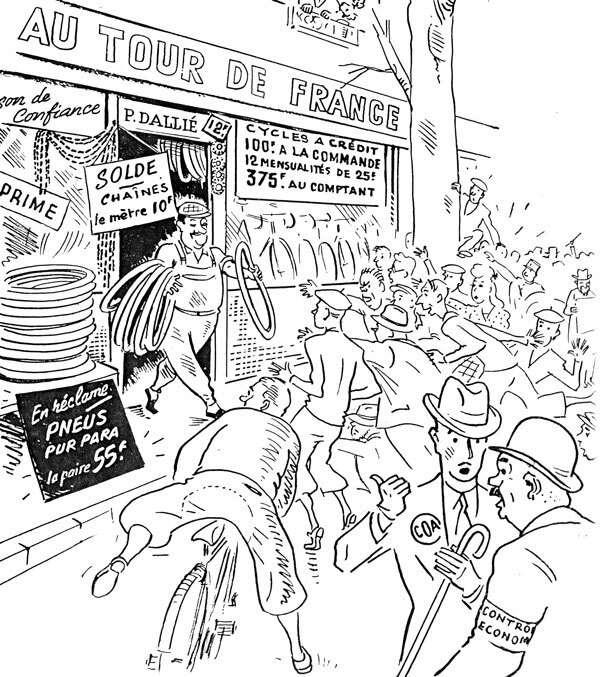 Jan, you are neglecting to mention that there are many levels of wholesale pricing in the bicycle business. You might be paying far less than another retailer for the same item at the wholesale level. You are also a US distributor for some items, so you pay less for those items than any retailer does. Shimano parts often sell to consumers on the Internet for less than the cost that bicycle shops can buy them. So quoting the consumer price without any context is really meaningless, I’m afraid. One of the difficulties with pricing small stuff (shims, fasteners, cables, etc.) is that each transaction has a minimum cost, regardless of what’s sold. It costs just as much to process an order for a $10 item as a $100 item. Establishing what the fixed-per-transaction cost is and whether it’s “fair” to add to the cost of each item is the tough part. That’s where judgment enters the picture. That is why many companies have a minimum order. For us, it’s $ 25. Otherwise, you might pay more for shipping than for the part. But many companies have no minimum order, a system I prefer, personally. That’s another reason why one shop can’t legitimately say what others should charge for things. If you don’t have a minimum order, but charge more across the board, you ask your loyal customers to subsidize your new and occasional shoppers. It’s difficult to make everybody happy. Fortunately, there are many suppliers, and you can pick the one whom you like best.